In an order to meet the requirements of patrons, we are engaged in manufacturing and supplying Silicon Cap. Under the offered array, we provide Silicon Cap. To ensure that our offered silicon products are able to meet the requirements of requisite industries, we manufacture these utilizing quality approved raw material, with the assistance of professionals. These professionals are always up-breast of the market trends and manufacture the offered silicon products accordingly. Rubber cap :- Supply various quality rubber parts for equipments, such as rubber cap, rubber plug, rubber button, rubber grommet and rubber bumper. 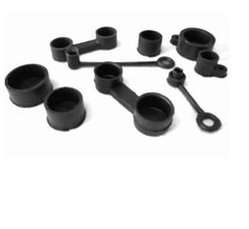 360 industrial products mainly produces rubber products and plastic products for various industries, especially for vehicle industry. We runs under ISO 9001: 2008. "Quality is first" is our production guide line. Advanced technology and strict quality inspection insure the good quality. Hope to cooperate with friends in the world! Looking for Rubber Cap ?